Everyone knows that interoperability is key to realizing the improved outcomes that technology and data can produce. But once a healthcare provider organization has some interoperable systems in place, how usable is that data to the clinical end users? With more data available, and from various sources, what happens to ease of use? Three physician IT leaders from high profile provider organizations offered their perspective on the challenges and opportunities for physicians and nurses as interoperability matures. They offered healthcare CIOs and others some advice on how to ensure interoperable data is optimally usable. There are many challenges caregivers face when first faced with data from different information systems or from different healthcare organizations. Some of them can be tough to overcome. Health systems often use different conventions for clinical data elements, and so when they're aggregated across systems, even though they might be described using the same term – for example, “problems” – they might connote different meanings, said Dr. Daniel Nigrin, senior vice president and CIO at Boston Children’s Hospital and assistant professor of pediatrics at Harvard Medical School. Another challenge extends to lab studies, he added. Different labs routinely maintain different normal reference ranges for labs, based on the type of assay or equipment used. On another front, every EHR has a different data schema. Some CCDAs are very useful while others are filled with large quantities of “noise,” for example, every vital sign from an ICU stay. When it comes to interoperability, caregivers are initially shocked that information is available across the walls of unrelated health businesses, said Dr. Terri Steinberg, chief health information officer and vice president of population health informatics at Christiana Care Health System. In general, as providers become exposed to data from unrelated health businesses, their tolerance for inefficiencies and data deserts tend to increase, she added. “I previously thought that data normalization would be an issue, but caregivers are smart and well-trained, so in most cases a provider’s brain can normalize data in real time,” she said. So what can healthcare CIOs and other related executives do to make all of this data more usable for caregivers? What are some solutions to these challenges? The physician IT leaders have some ideas to help healthcare organizations with the interoperability push. It is essential to develop interoperability workflows, added Steinberg. 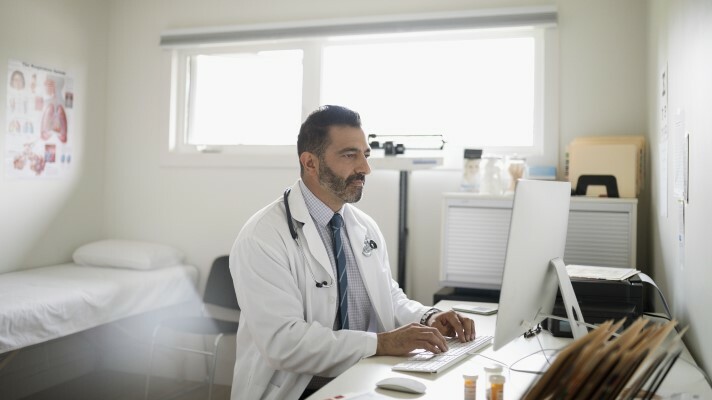 Healthcare executives need to understand that data must be concentrated within a user’s workflow, and that the system that generates the data is less important than delivering the information to those who need it, she added. Healthcare still is at a point where the biggest problem is the lack of data exchange; so for the time being, the best thing that CIOs and other leaders can do is to continue to push for more data to flow from organization to organization, said Nigrin. “Yes, using our current systems it will create some new challenges as I described, but those pale in comparison to the inaccessibility of the data that we struggle with now,” he said. The future of interoperable data being brought together for caregiver use is looking good, with many technological and standards advances being made. So what will healthcare CIOs and other leaders see happening in the years ahead? How will things work for caregivers? Progress is being made, said Nigrin. The other important development is the ongoing adoption of FHIR, and especially the mandate in the 21st Century Cures Act regarding its use, he added. Steinberg of Christiana Care Health System is excited about the future of information integration. She is working on interoperability projects in three categories.